Mark Ellinger is a phoenix. He has emerged from the ashes of the mean streets of San Francisco and has rediscovered himself through the lenses of a camera. He shares his story with no censorship and invites us to witness the lives that have unfolded on Sixth Street, Mid-Market and Tenderloin and the history that is often overlooked. Mark Ellinger explaining his photos! My formal education in the arts includes 13 years of piano technique (1955-1968) and classes in oil painting and filmmaking at the San Francisco Art Institute (1968-1971). From 1971 to 1987 I wrote music for performance art and motion pictures, including works by directors George Kuchar (The Devil’s Cleavage), Curt McDowell (Thundercrack! ), Larry Jordan/Orson Welles (The Rime of the Ancient Mariner) and poet Cyrus Cassells (Fragments from the World of Henri LeCroix). Between 1985 and 1995 I lost pretty much all that was dear to me—friends, family, business, home, and possessions—and for six years I plumbed the depths of experience and my own psyche, living on the mean streets of the City as a homeless junkie. It damn near killed me. While hospitalized I had an epiphany and re-embraced life. It was an absolute line of demarcation between the Now and the Past, so at the age of 51 my life was essentially a tabula rasa. Over the next six years, from 2001 through 2006, I literally reinvented myself while living in a Sixth Street hotel named the Shree Ganeshai. It was during this time, near the end of 2002, that I rescued a cheap little one megapixel camera from the trash and started photographing my surroundings. Although I had a great time doing this, the resulting very low resolution photos were completely unusable, but they did inspire me to go into debt a year later with the purchase of a little Canon G3. That was when The Hotel Project, renamed Up from the Deep, really began. Besides wanting to make a photographic record, I wanted to change the way people saw central city architecture and thus save it from the obliteration that was then a very real possibility. Also, I had become deeply involved in efforts to improve the quality of life in SROs (single room occupancy residential hotels), so I used my photos to show the plight of their tenants. No doubt partly because I was the only person who cared enough about these buildings to photograph them, at the end of 2006 I was asked to work with architectural historian Michael Corbett (Splendid Survivors: San Francisco’s Downtown Architectural Heritage, 1979, California Living Books) on a survey of the Tenderloin for the National Register of Historic Places district nomination, which was accepted in 2007 and approved in 2008. 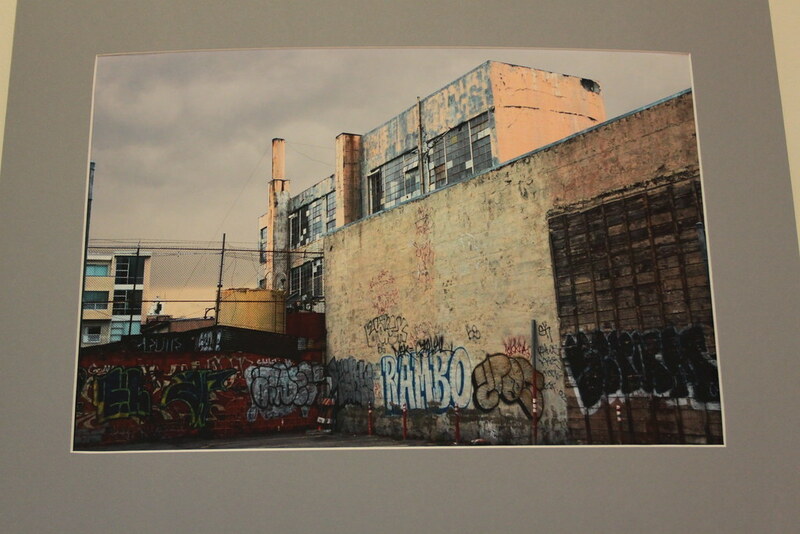 At the end of 2008 I published the first two volumes of Up from the Deep, Sixth Street and Mid-Market. 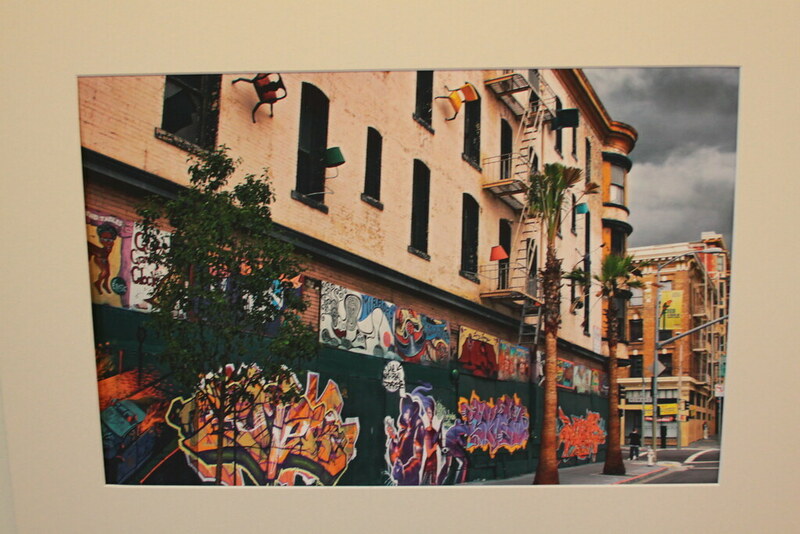 * The Tenderloin, now officially the Uptown Tenderloin Historic District, continues to be a focal point for my work as I complete the third and final volume of Up from the Deep, Uptown Tenderloin, and develop a map of the historic district. To purchase the first two volumes of Up from the Deep or just to learn more about him, visit his website at www.upfromthedeep.com. Also check out Julie Michelle’s interview with him on CALIBER SF. 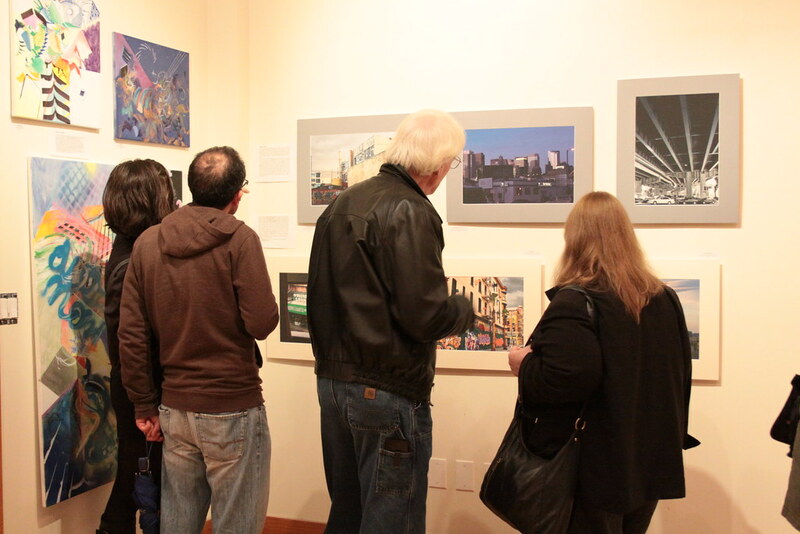 “THE CITY” @ 1:AM GALLERY THROUGH THIS SATURDAY, FEBRUARY 27th! COME BY AND CHECK IT OUT!